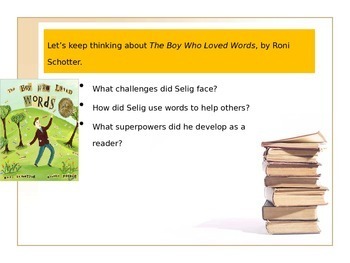 Power Point for Expeditionary Learning Module 1 Unit 2 Lesson 5. Power Point for Expeditionary Learning Module 1 Unit 2 Lesson 5. 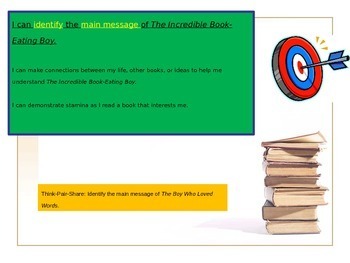 This lesson is built around students building their own independent reading stamina. They will select a book on their own level-so your students must be leveled before using this lesson. 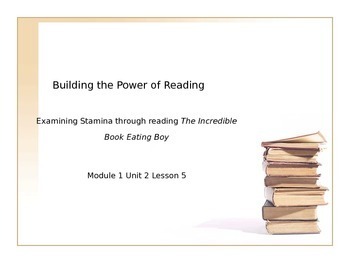 Students will also get to read The Incredible Book Eating Boy.